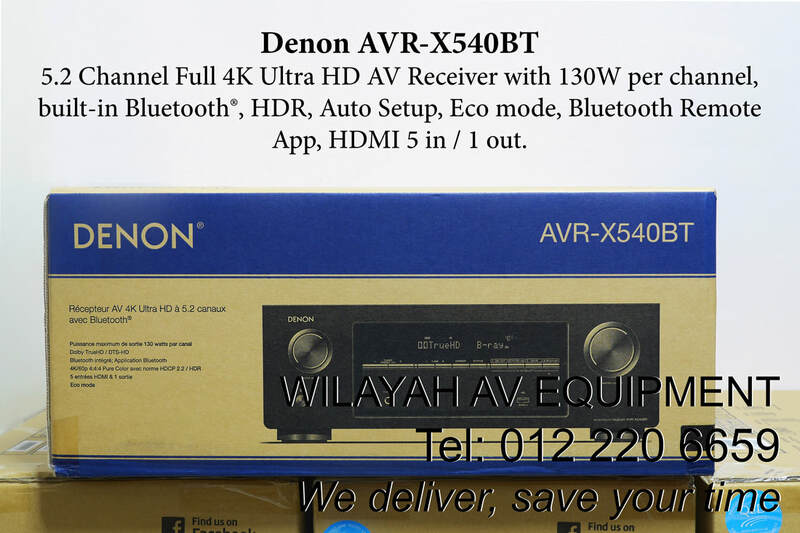 Denon AVR 520BT is a powerful 5.2 AV receiver with Bluetooth and 4K pass-through - Wilayah AV Equipment, your home theater system and hifi sound system dealer in Malaysia. 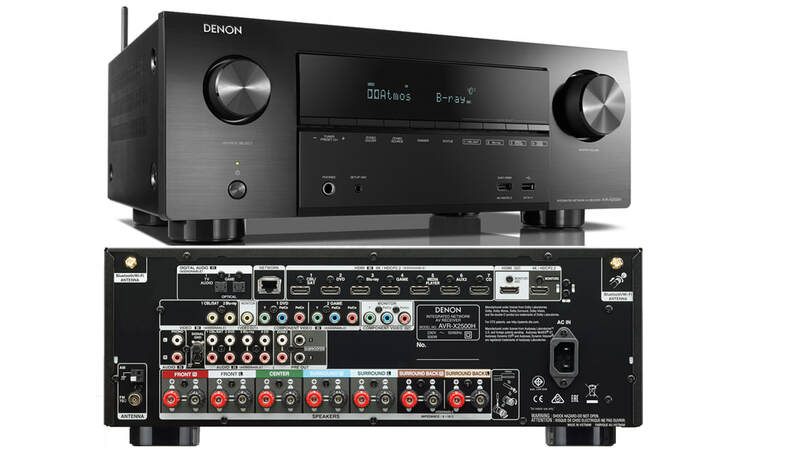 Denon AVR-X540BT 5.2 Channel Full 4K Ultra HD AV Receiver with 130W per channel, built-in Bluetooth®, HDR, Auto Setup, Eco mode, Bluetooth Remote App, HDMI 5 in / 1 out. For more details, call 012 220 6659. 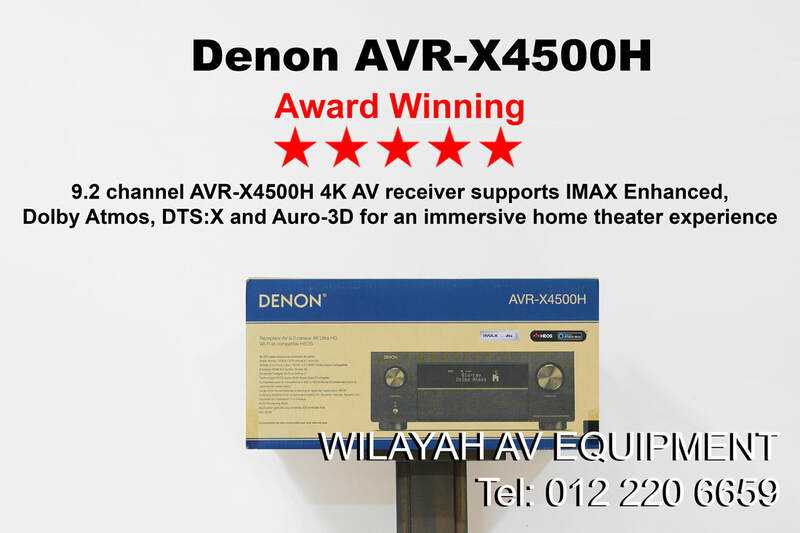 Denon AVR X1500H is a 7.2 channel receiver with 3D audio formats Dolby Atmos®, DTS:X™ and DTS Virtual:X®. Stream Spotify®, Tidal and more with HEOS built-in. unparalleled music playback options, thanks to our built-in HEOS technology, Apple AirPlay 2, and Amazon Alexa voice compatibility for seamless control. 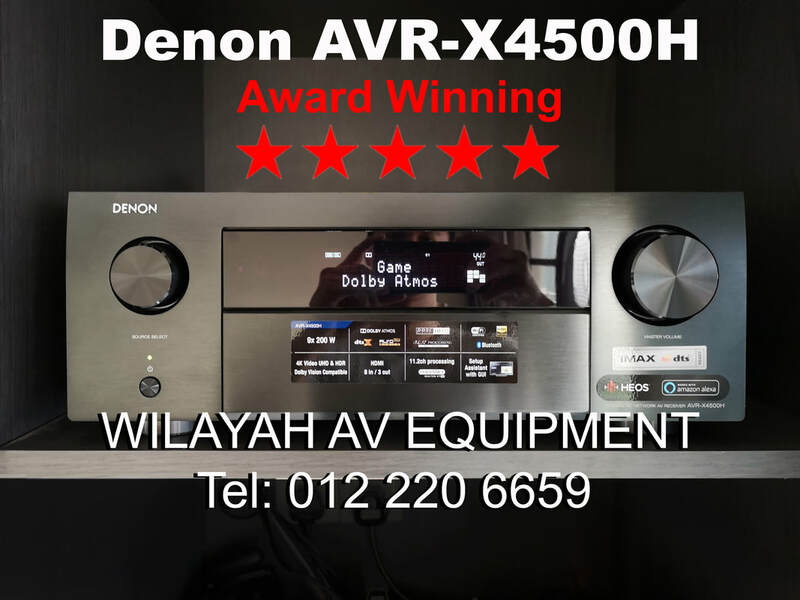 Denon AVR-X2500H features Dolby Atmos and DTS:X, the latest video technologies; 4K Ultra HD, Dolby Vision™, HDR10 and HLG; and 8 HDMI in/2 out with HDCP 2.2 support on all ports. Stream Spotify®, Amazon Music, Deezer, Tidal and more with HEOS built-in. Features Amazon Alexa voice compatibility. unparalleled music playback options, thanks to our built-in HEOS technology, Apple AirPlay 2, and Amazon Alexa voice compatibility for seamless control. 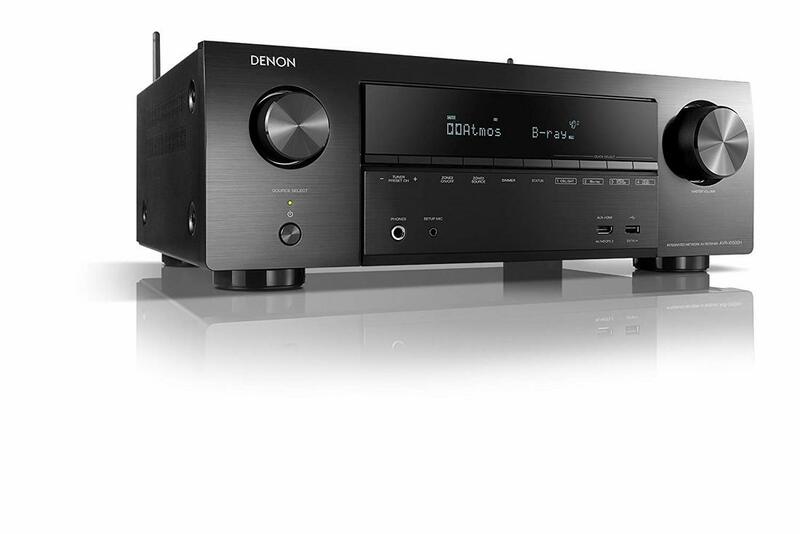 Denon AVR and Q Acoustics home theater system. 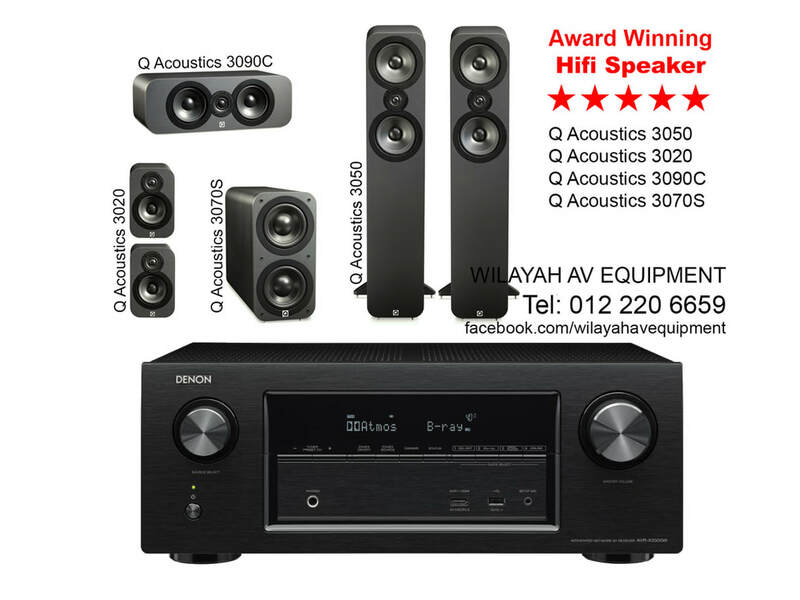 For more information, kindly drop us a message, or contact us via Facebook or 012 220 6659.